Santa Photos are back at Gum Tree! It’s the info you’ve all been waiting for, Santa Photos are back! 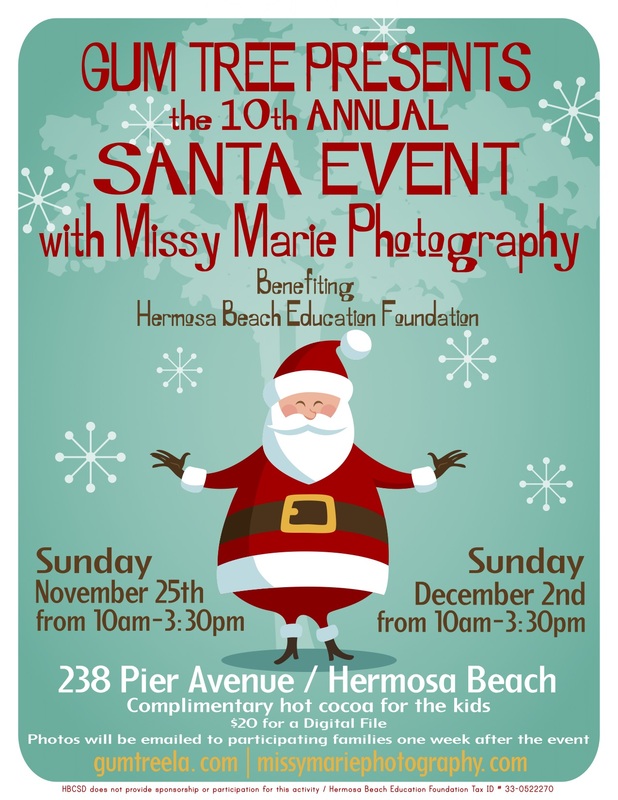 In Hermosa, we have 2 dates with the wonderful Missy Marie Photography, benefiting the Hermosa Beach Education Foundation! And for the first time this year we’re adding a day in Manhattan Beach! 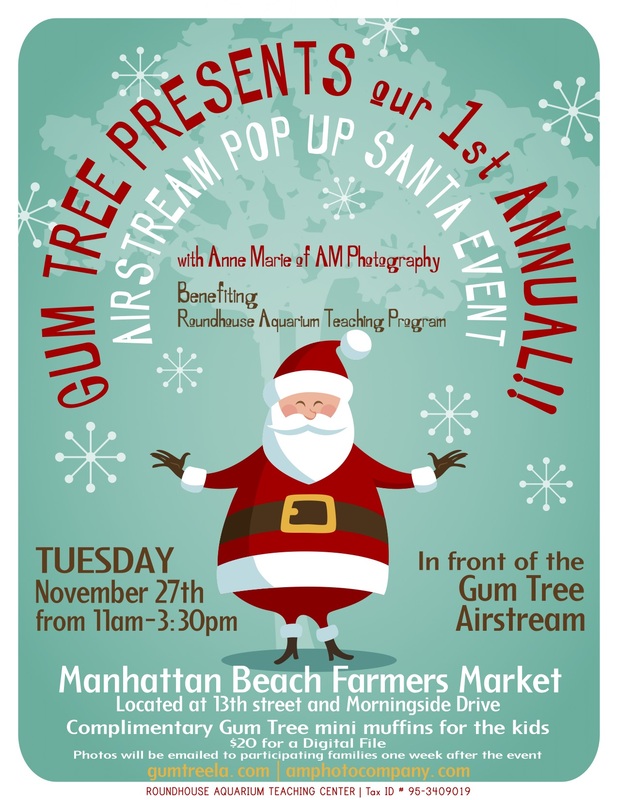 You can find Santa in front of our new Gum Tree Airstream at the Manhattan Beach Farmers Market! We’re thrilled to be working with Anne Marie Crotty of AM Photography for this day, and extra thrilled that this event will benefit the Roundhouse Aquarium! By the way, the Roundhouse is reopening this weekend after a beautiful renovation. Did you know that the Roundhouse operates solely on grants and donations? This local treasure needs all of our support to continue to feed the fish, and to support their teaching programs for under served youth.